I’ve been watching this forum for quite a long time so now it’s time to post some work of my own These are my finished (more or less) projects that i’ve made over last 2 years with blender and other free software. Now it’s time to finish my projects that make use of Blender Internal as it’s getting stronger every release. Wow the everything is good. Could you tell me where your tutorial is for lighting? very nice work! 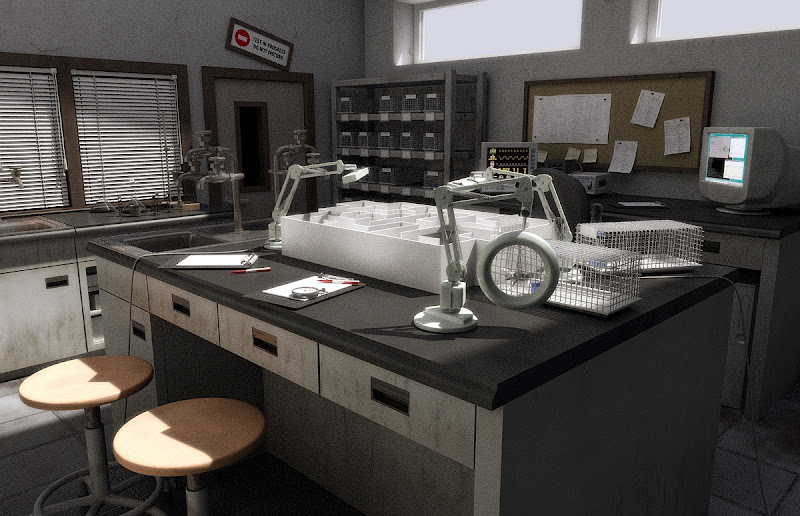 the laboratory looks really great, nice lighting! 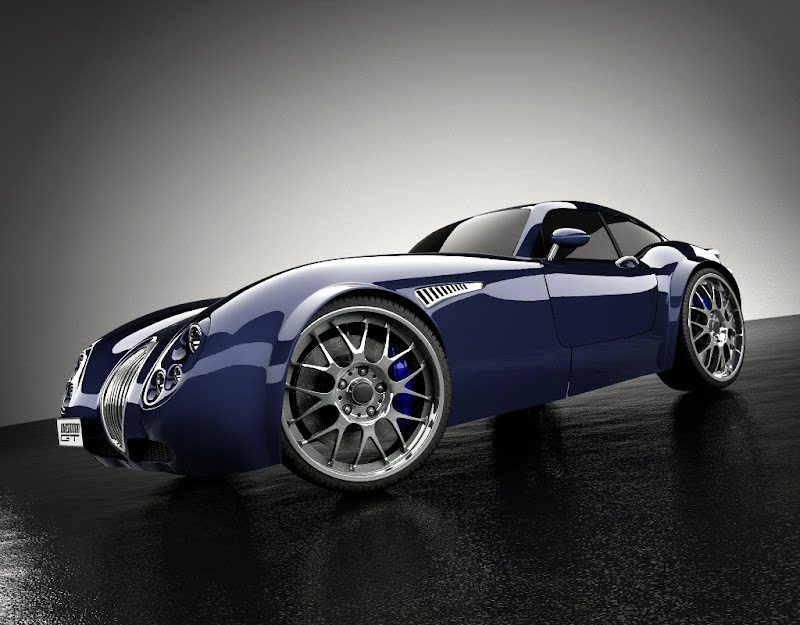 solid modeling on the car, im loving the asphalt texture and the blurry reflections. again, nice lighting. Could you tell me where your tutorial is for lighting? Super Work! I love the idea (and the execution of course) of the mug. Looks great! I can’t see any flaw in any of the picturs! Yes, this is really good stuff although it is interesting to see that you chose Yafray as your render engine for the Laboratory…3dsm users usually don’t do that, huh?! But it is cool and I definitely want to see more stuff in the future. Your lighing is great, the textures wonderful and the modeling flawless - sounds like a good job to me! it is interesting to see that you chose Yafray as your render engine for the Laboratory…3dsm users usually don’t do that, huh?! wow, nice work. Keep it up yo. 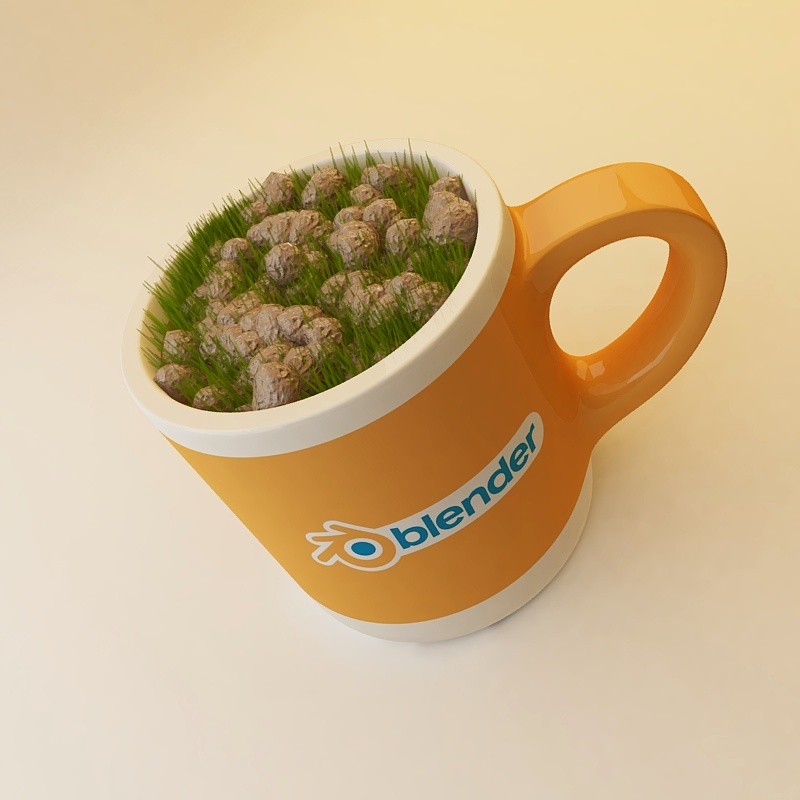 There’s something I’m not quite sure about with the grass and rocks on the inside of the Blender mug… doesn’t look quite… natural enough? Never mind that, though - I should have started off commenting on what fantastic renders these are! IMO, this thread is gallery material. Any critique I can give would be on very minor, minor issues. Thanks for the link to the WIP shots, by the way. Do you have a tutorial for Yafray? wow really nice renders! how long have u been modeling? Well, I dont have one for Yafray but u can build a blender/yafray scene quite easily following the main ideas of that tutorial. Lots of non-blender tuts can be useful for blender/yafray users, but u have to have some knowledge what is the blender/yafray alternative to tools used at other apps. The light setup is basically the same as shown in the tut, 2 area lights on the sides of the “studio tube”, one with warm/orange illumination and the other bluish. Probably the most important to get a nice studio/interior render with yafray is setting gamma to about 2.2 (and exposure… i usually start with 4 and then lower or higher based on the results) so u get less contrast and more light in dark areas. hmmm, for about 3 years maybe, but i cant say im a pro as it’s mostly my hobby. I would like to get some works as a freelancer in future but for now its just “fooling” around, getting experience. Thank you very much, now, I have start to study Yafray for internal rendering and I’m inspired from you Laboratory scene. Awesome stuff! I absolutely love the first picture! Really well done. i love your works!!! keep it up! I love the material on the mug. It looks like real ceramic glaze. Awesome job! Good Work! Your images are fantastic!